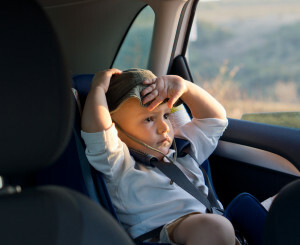 ST. GEORGE – A 5-year-old boy died Sunday in Burleson, Texas, from heatstroke after he reportedly crawled into a parked car unattended. Zachary Elshaarawi’s death brings the vehicle-related heatstroke death toll for children in the U.S. this year to 15, compared to 31 children in 2014. When police responded to assist in a search for the missing child Sunday afternoon, Elshaarawi’s father told them he could not find his autistic son, according to Fox 4 News. Searchers located the child in the passenger side backseat of his mother’s car, a Ford Taurus, parked in the driveway of his grandparents’ home where he was staying. Police said the child wandered to the car on his own and is believed to have been in the car over half an hour, the Fox 4 News report said. It was 100 degrees outside. Of the 15 deaths in 2015, 10 are confirmed heatstroke deaths and 5 are characterized probable. Five occurred in Texas, three in Florida and the rest in several states nationwide – one as far north as Idaho. None of the 2015 deaths occurred in Utah. Data offered by the Department of Meteorology & Climate Science at San Jose University through Sunday indicates 652 such deaths since 1998. That translates to an average of 37 child heatstroke fatalities per year as a result of children being left in vehicles since 1998. Children reflected in the study range in age from 5 days to 14 years old but more than half of them were younger than 2 years. Vehicles heat up quickly, reaching life-threatening temperatures rapidly. The temperature inside a vehicle can reach deadly levels in just 10 minutes if the outside temperature is in the low 80 degrees. Even with temperatures in the 60s or 70s, heatstroke poses a serious risk, according to the university data. Heatstroke is clinically defined as when a person’s temperature exceeds 104 degrees and their thermoregulatory mechanism is overwhelmed, according to the university data. Children overheat three to five times faster than adults, and a child will die of heatstroke once their body temperature reaches 107 degrees as internal organs begin to shut down. The message is simple: never leave a child alone in a vehicle and always check the back seat before walking away. As a bystander, if you see a kid alone in a hot car, take action. Working together, we can prevent these tragedies. The safety administration released a technical report on July 31 intended as a roadmap to help manufacturers design electronic reminder systems. While a number of such systems are now available – either as features on child safety seats or as add-on products – their capabilities and ease of use vary. While the administration encourages innovative solutions to what it calls a “one hundred percent preventable tragedy,” it also encourages families to maintain vigilant parenting and caregiving practices and not rely on any single safeguard against leaving a child unattended in a vehicle. Symptoms of heatstroke may include: dizziness, disorientation, agitation, confusion, sluggishness, seizure, hot dry skin that is flushed but not sweaty, loss of consciousness, rapid heartbeat and hallucinations. 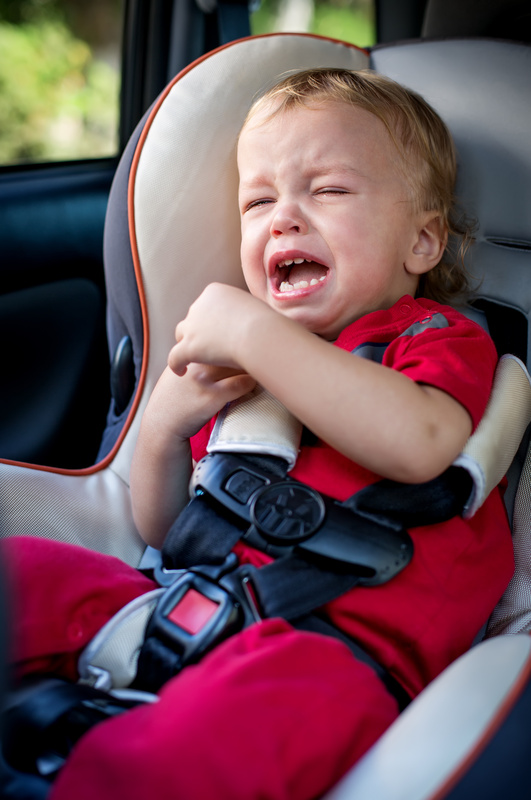 Currently, 20 states including Utah, have laws specifically addressing leaving a child unattended in a vehicle. In hopes of deterring parents from making that sometimes fatal decision, Utah Criminal Code Section 76-10-2202 – “Leaving a child unattended in a motor vehicle” – was enacted during the state’s 2011 General Session. The new statute gave law enforcement options for cases involving children left alone in cars. In a debate over the bill that gave rise to the criminal statute, Sen. Ben McAdams said the bill would add needed clarity to the law that leaving a child unattended in a motor vehicle under circumstances that constitute risk is behavior that needs to be punished, but is not child abuse. Instead of issuing charges of child abuse or neglect, deemed far more serious in nature, the newer statute gives authorities the ability to cite parents with a class C misdemeanor, at least on the first offense. We all have a role to play, by taking practical, effective measures to protect our own kids and by calling 911 if we see a child in distress. I almost always have a problem with your use of photos to “illustrate” a news report that have nothing to do with the actual event. In this case, using a photo to illustrate how a baby might die in a hot car is really quite tasteless. I think you should remove this photo.